A recent comment by Sheltering Memory about the ceramic axes of Devon potter Svend Bayer reminded me of a great sculpture in Ham Hill Country Park, Somerset. 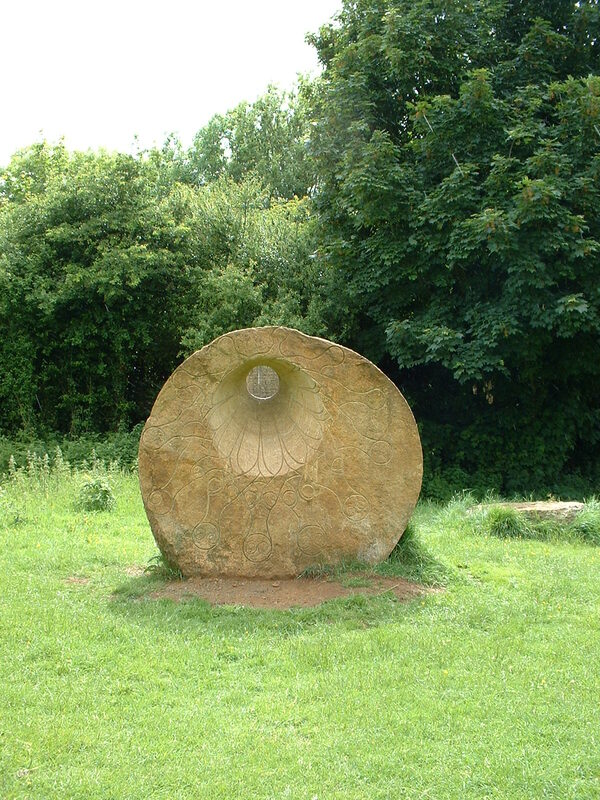 The piece by sculptor Evie Brodie is made from the hamstone quarried nearby and comprises a large axehead of a Bronze Age form. In front of the axehead is a circular stone, it is incised with motiffs which had been found on the handle of an Iron Age bucket. The piece is aligned so when the midsummer sunrises, light passes through the perforation in the stone and illuminates the axehead. 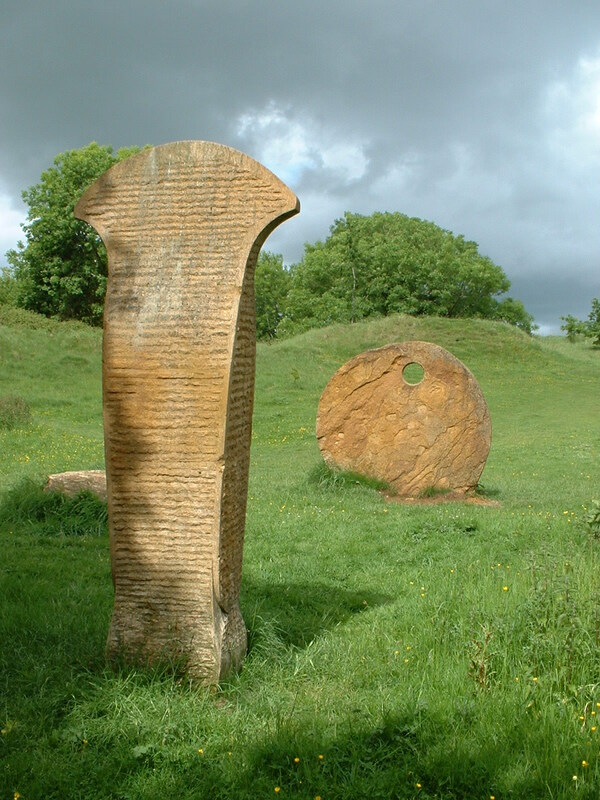 This entry was posted in Creativity and tagged archaeology, art, ham hill country park, Public Art, Sculpture, somerset by gmacg1. Bookmark the permalink.